You are here: Home » Name That... » TVFT’s Name That…Cup of Woe? 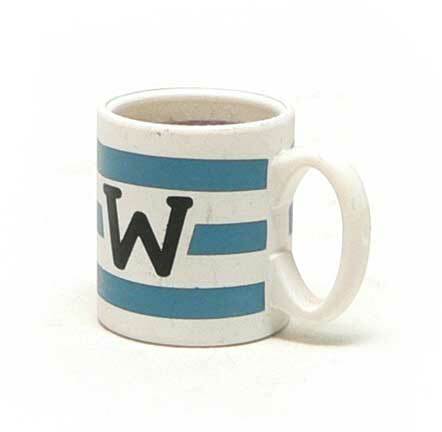 TVFT’s Name That…Cup of Woe? There’s nothing better than the perfect cup of coffee. But who’s cup is this? Archangel’s? Wally West’s? Wario’s? SPOILER: Wallace & Gromit Curse of the Were-rabbit coffee mug. There were 2 of them made as accessories. Since there were 2 in the line and each was a different scale, it could be either of them. No prob! I’m also on AFB as Starman, that’s where I saw the thread and decided to check it out. Since I was browsing, I found one I knew that hadn’t been answered. You’re correct. It’s the larger one. I didn’t realize they made it in two scales. I also wanted to say thanks for dropping a comment Ian! I’ve left a few that way for just that reason. Thanks for filling in the gaps!